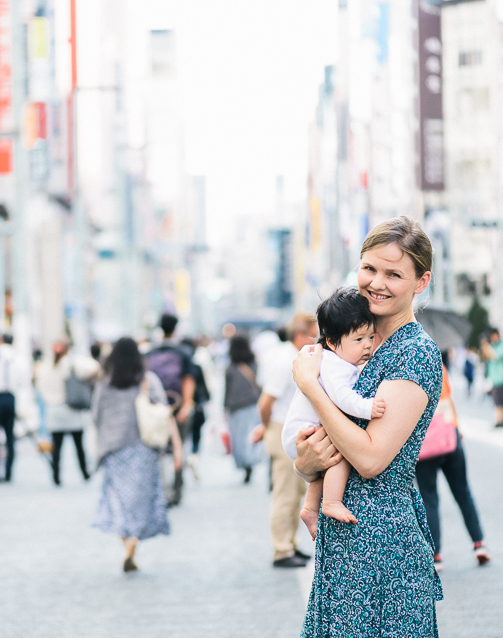 Here are the Top 10 things that surprised me about being pregnant and giving birth in Japan! I think I am not alone on this one! Here is the post about my experience in first trimester on Tokyo Pregnancy Group. Here is the post about my experience and the travel insurance companies on Tokyo Pregnancy Group. When I was 7 months pregnant, I traveled with my husband to his hometown in the countryside in Fukushima Prefecture to attend the funeral of his dear uncle. We arranged time off work to attend as it was on a weekday, and were all prepared to go when we received a phone call the day before departure. It was from one of his relatives, explaining that there was a superstition in his hometown that it is bad luck for a pregnant woman to attend a funeral, so they asked me not to come. I was quite upset, as my husband’s uncle who had passed away had always been so nice to me, and I really wanted to pay my respects to him and his family. There was much discussion among the family members – some were completely opposed to me attending, whereas others didn’t believe in the superstition and thought it was okay. I didn’t want to make anyone feel uncomfortable, so I decided to travel with my husband to his hometown but to stay at his family’s house and babysit our 2 year old niece while everyone went to the funeral. On the morning of the funeral, we received a message from my husband’s cousin (the daughter of the uncle who had passed away), saying she and her mother would really love if I could attend the ceremony and that if I was still keen, I could wear a mirror across my tummy to protect my baby from any unwanted bad luck. So, I borrowed a small compact mirror that opened up flat, placed it across my tummy in my black stockings under my black dress, and attended the funeral. I was quite noticeably pregnant, so there were a few shocked glances at me when I arrived, but I reassured everyone that I had the mirror underneath my dress protecting my baby (which could be seen quite obviously from the shape of my tummy!). After speaking with my Japanese friends in Tokyo since the funeral, it seems this superstition was quite unique for my husband’s hometown as nobody had ever heard of it before. But just in case you do come across a similar situation in the countryside of Japan, hopefully this will prepare you! I think many pregnant women have been surprised by the strict guidelines on weight gain in Japan…?! When I was pregnant, the nurses at my Japanese hospital said I should only gain 0.5 kg weight per month, and at most 10kg extra weight during pregnancy. This was a shock considering I’d already put on 10kg by the end of my 2nd trimester! I ate very healthily during my pregnancy, walked every day, and felt good. So of course I had trouble accepting this advice to reduce my food intake or limit my weight gain! Furthermore, as an Australian I was more inclined to follow the Australian guidelines, which said it was normal to gain 11-16 kg during pregnancy (1-1.5 kg per month in the first trimester, and 1.5-2 kg per month for the rest of the pregnancy). Personally I think as long as you eat healthily and feel good, then that is the most important thing for both you and the baby!! When I first saw these underpants on my hospital’s list of things to bring for labour, I thought there is NO WAY I am going to wear these daggy undies during my labour! They are large underpants with buttons on the crotch (like a bodysuit) so it can be opened without having to take them off. In the end though I decided to buy them as the nurse explained they are very handy during labour, as you may be in too much pain to take off your underwear for cervix dilation checks, and for changing the super absorbent pads if your waters have broken. I bought 2 pairs on Amazon Japan. In Japanese they are called 組産褥ショーツ. This was another surprising item on my hospital’s list of things to bring for after birth. The “waist nipper” is a belt that holds the tummy in and supports you after birth. I had never heard of these being used in Australia, so I decided not to buy one and to just let my tummy get back in shape naturally. I also thought that if I wear a waist nipper, I would become lazy and rely on it too much for support….! Here is a selection of waist nippers on Amazon Japan. In Japanese they are called ウエストニッパー. When I was in my last trimester I asked my doctor many questions about labour and birth, and was surprised when he explained it is common for an episiotomy to be conducted in Japan especially if its your first baby. I had heard that a little natural tearing was often quicker to heal than an episiotomy, so I tried to explain to him that I wanted to try for a natural birth with no episiotomy, unless it was absolutely necessary. I never got the chance to try though, as in the end I had an emergency c-section! Thanks for this wonderful website, all the information is very useful!! !